USG Boral is one of Australia’s largest producers and retailers of plasterboard products, with distribution outlets located all across Australia. Their storage needs vary due to the wide spectrum of products they store, from full sheets of plaster through to everyday palletised goods. 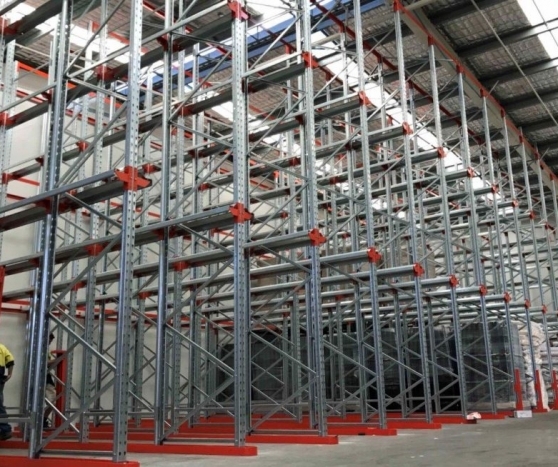 MACRACK has designed and manufactured optimised warehouse storage systems and drive in racking for USG Boral to assist their daily operations and support their growth and expansion. 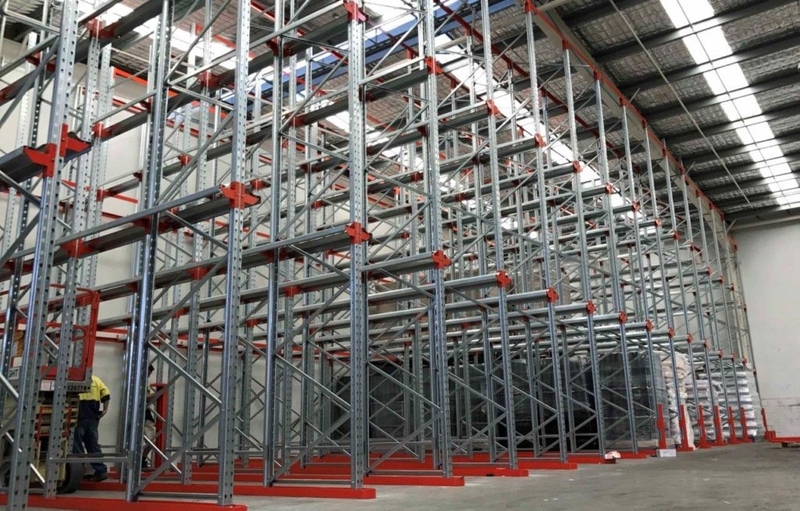 For the past decade, MACRACK has provided pallet racking systems to USG Boral’s outlets and their Brisbane production plant in Pinkenba near Brisbane Airport. Like many businesses, USG Boral values trust and reliability, making a client-focused company like MACRACK a racking supplier they can depend on. As the USG Boral warehouse staff are required to pick plasterboard on a daily basis, MACRACK installed selective pallet racking to efficiently accommodate this process. As these sheets come in a variety of sizes and USG Boral desired maximum storage with as little space consumption as possible, MACRACK tailor-made a design that met their needs. Because we manufacture to order in our conveniently located plant in Brisbane, we are able to produce warehouse storage systems in a huge variety of sizes and weight capacities to suit our clients’ requirements. USG Boral also requires drive-in racking for their bulk storage of raw goods and other componentry. They maximise their warehouse space with drive in racking because the raw goods are all of a similar nature and can be stored in bulk without requiring quick turnover. As USG Boral also stock palletised goods, we implemented pallet racking into their warehouse storage system to cover all needs. MACRACK has a great working relationship with USG Boral. Our installers are able to work efficiently under their regulations because of their professional manner and dedication to working with safety as their main priority. This ensures an efficient and safe result for both parties, enabling the relationship to grow based on common interests. Our services are focused on customer satisfaction and this service doesn’t end when the racking is installed and signed off. We take it a step further and continue to care for our customers throughout the following years and decades that they use our product. USG Boral appreciate this service and when they require attention MACRACK responds swiftly, attending the site and addressing any damage. By reporting any damage made to the racking system, USG Boral are ensured that they have the safest working practices possible. MACRACK supports this effort and strives to address issues as soon as possible to rectify the situation and make the racking as safe as possible for everyone. USG Boral has trusted MACRACK with their warehouse storage needs for the past ten years, proving that we are a team you can rely on for quality products. Pinkenba – Northgate – Labrador – Cairns – Townsville – Boral Bricks Darra – Browns Plains – Rockhampton – Caboolture.